14 Best Food & Restaurant WordPress Themes 2016. Time is flying by but people always try to find a suitable place to have a meal or have a drink. Food industry has always been the most popular business sphere. Nowadays the most visited food-based places are cafes, bars, restaurants, organic food stores, cake shops, pubs etc. As for consumers, they search for the right place to eat. There is no doubt it is hard to make your restaurant popular due to a heavy competition. The ideal way to advance your business is to create a fresh-coloured, unbeatable website. 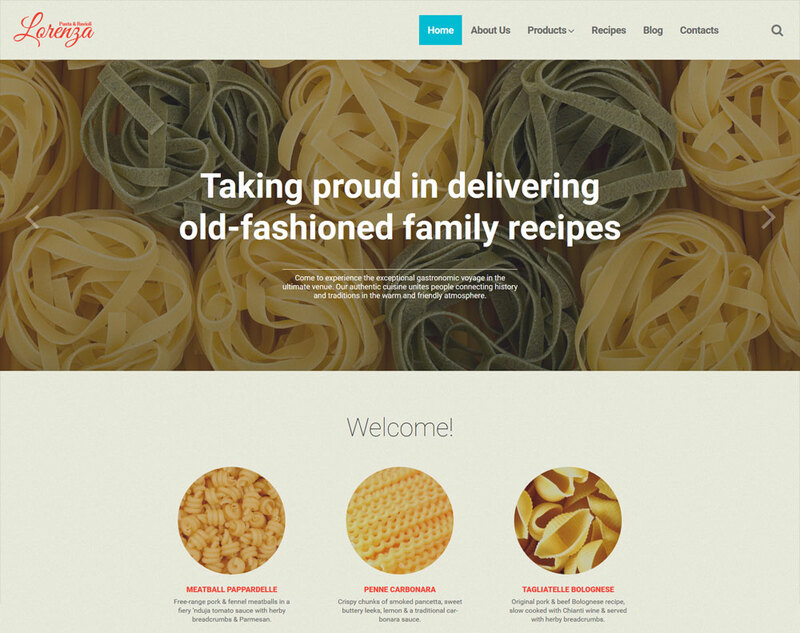 You can build exceptional food-related site based on one of these gorgeous WordPress themes. Some of these templates are multifunctional and can be used in all areas. Others aimed at specific topics, so you have a chance to choose the one that fits you the most. The secret of sucessful website creation is to choose a fully responsive template since most of the customers browse websites using their smartphones as well as to create an individual website with special features like bookings, animated homepages or custom shortcodes. Based on these you can select the theme that fits your own style from this assemblage and take your food site to the next level. We hope our collection of Food & Restaurant WordPress Themes, which is represented by different categories for each of those we have chosen the best theme will help you to build your website, which will satisfy all your demands. Happy hunting. Avada is a popular multi purpose WordPress theme with unlimited designs options, which can be used for any topic of website. It consists of more than 10 unique demos, demo content with pre building pages, video backgrounds, built-in styles for popular plugins and many more features. Avada theme provides fusion core plugin for easy-to-use fusion page builder to create your especially designed pages with help of shortcodes and fusion slider. You can estimate customer support, customizability and code quality for yourself. Flexibility, high quality and ability to choose unlimited colors and styles complement advantages of this versatile theme. This template is not ideally suitable for simple blogs or static site because of complexity, which creates difficulties in understanding. Avada theme gives you a freedom to build a professionally looking website using all necessary options for you. If you are looking for a feature-rich, clean, modern, lightweight, multi-purpose designed theme, Avada is great choice for you. Try it now. The X is a pliable, fast loading multi purpose WordPress theme with four designs that you can choose from. Integrity - for creatives, agencies and professionals, Renew - with flat design and simple layout, Icon - for written content with minimalist design and unique layout options, Ethos - for online publishers. You can also take one of expanded demos such as church, restaurant, agency, spa, education, band, wedding and create unique, fresh design. The X theme has around 40 shortcodes, which will give you a chance to easily customize your website and content. This theme has a big amount of useful options such as many page templates and layouts, a bunch of plugins, helpful documentation, great page builder tool and more. Your website will reach a higher ranking on popular search engines and will be integrated with the social sharing option. However, it’s not a good choice for new users and for those seeking a minimal theme due to many features. If you are looking for flexible multi purpose theme then try this one. 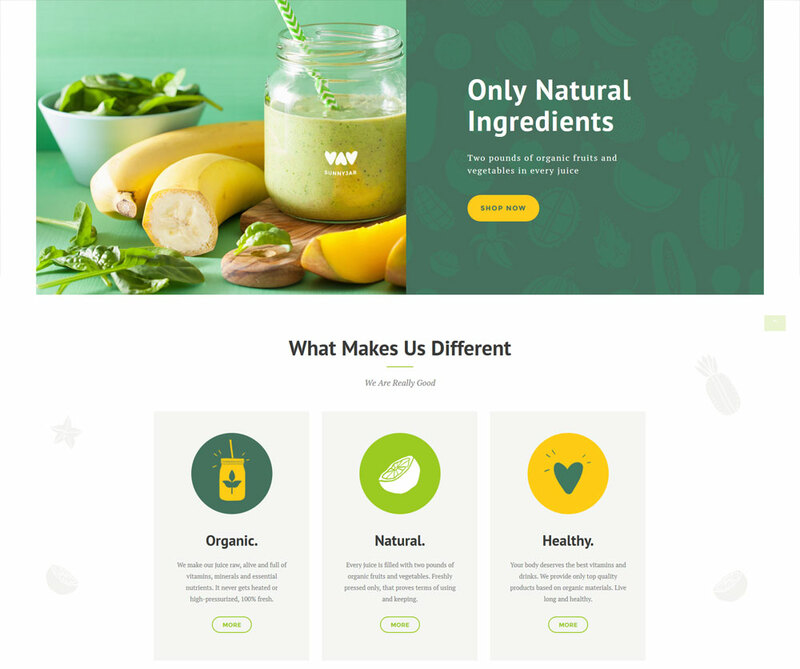 FoodFarm is a stylish and clean WordPress theme, which you can use for farm services, food stores, food companies, organic food or fruits. 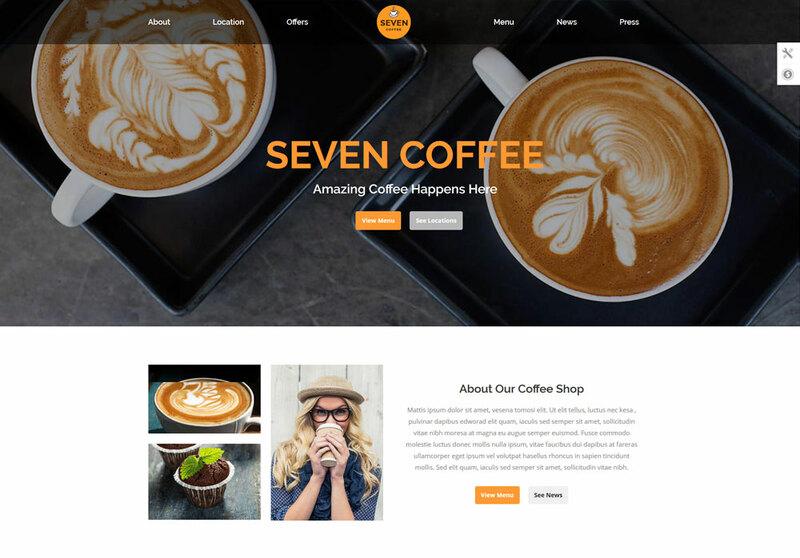 It has 6 pre-made homepage layouts for cafe, food store or farm services, multiple headers and footers, easy to configure pages, powerful admin panel with unlimited colors style, intuitive megamenu, drag&drop page builder and everything you need to easily produce individual website. You can use WooCommerce to luckily sell your products by using online shop. You have a possibility to reckon on international audience because this product is translation and multilingual ready. FoodFarm theme provides important selection criteria including easy usability, fast support and easy setup. Very cohesive documentation will be very helpful for new users to understand all options. 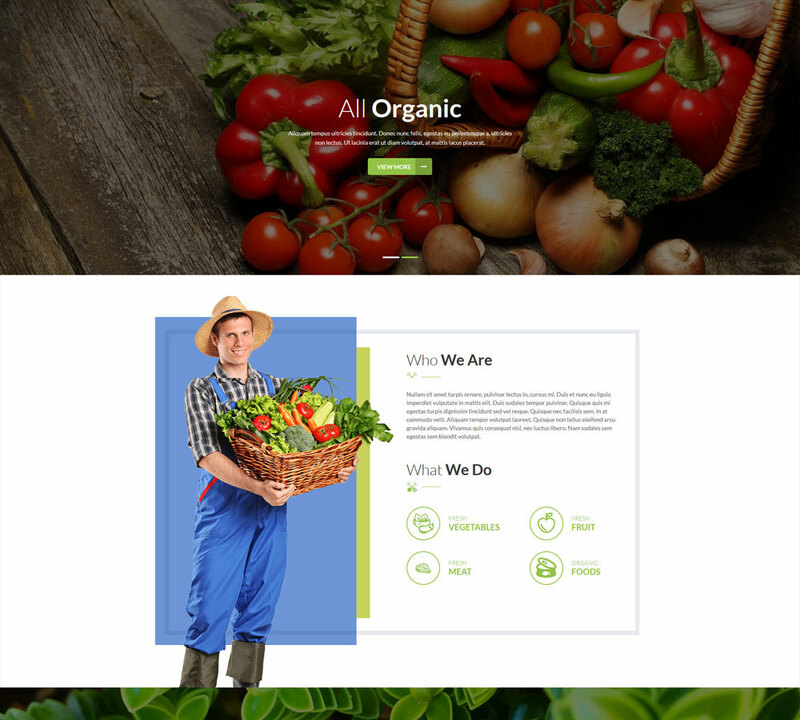 If you enjoy organic and health food and want to connect your website with farms and organic related services, FoodFarm is a great choice for you. SunnyJar is a functional, fantastic looking WordPress theme, which suits well for cafes, bakeries, smoothie and snack bars, coffee shops or any kind of healthy and organic food services. It provides 2 homepage layouts (boxed and wide), time-saving shortcodes, WooCommerce support to allow you create an online organic shop or delivery service. SunnyJar theme is fully optimized for speed and usability, every option of this theme is attentively designed to run smoothly and built using clean HTML5 and CSS3 code to help you stay abreast of the latest trends in website design. Advanced demo data install tool helps to create a copy of preview in one click. Support team is ready to help you anytime. This template is compatible with a bunch of plugins such as Visual Composer, Revolution Slider, Essential Grid, which facilitate your work with this amazing theme. We hope SunnyJar theme will help you to build your exclusive health food and drink related website, which will fully satisfy your needs. 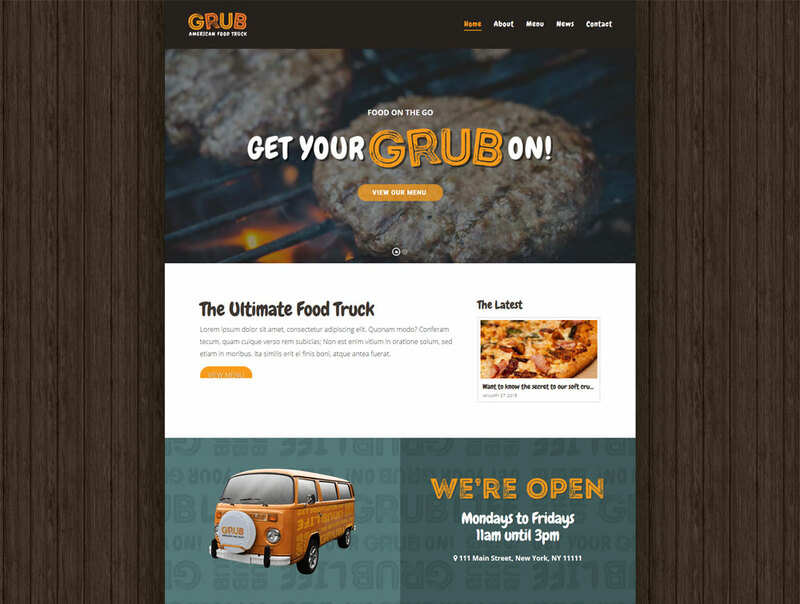 Steak House is a highly customizable, robust WordPress theme, which is perfect for grills, burger bars, catering and other food related establishments. It is compatible with WordPress 4.0 and has a valid HTML5 and CSS3 code. 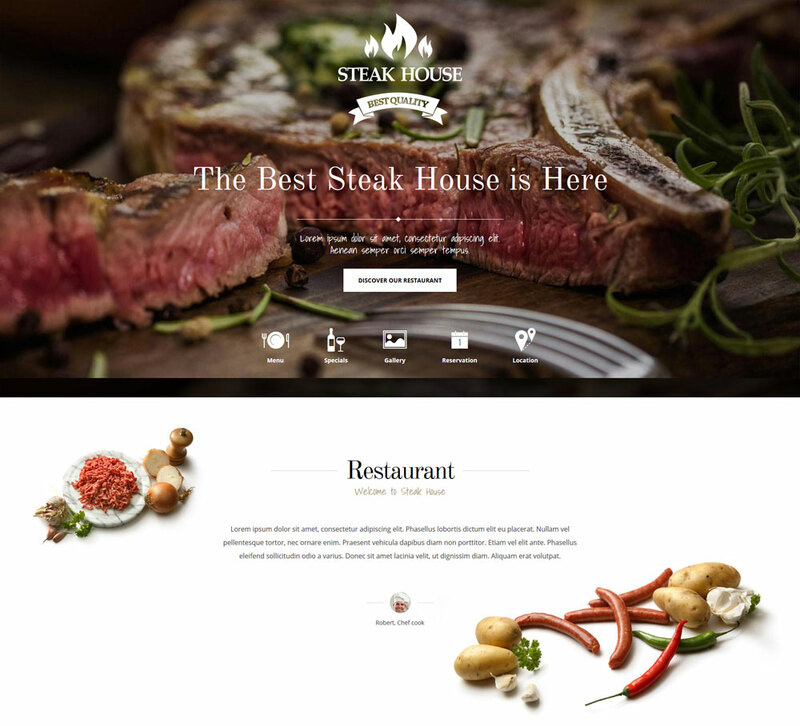 Steak House theme offers you a chance to change unlimited colors and fonts with a live preview of your changes. It even includes an additional countdown static page and online reservation to comfortable work with customers and an ability to easily make online reservation. Creating a unique site is not a problem because of a number of lure options such as delicious design, restaurant gallery and menu, contact form, support for social media and Google Map. You can always read in-depth documentation or request 24/7 support to get answers to your questions. If you want to drive traffic to your website, Steak House will help you to make a positive impression of your business. Hope you will find this theme the right choice for your website. 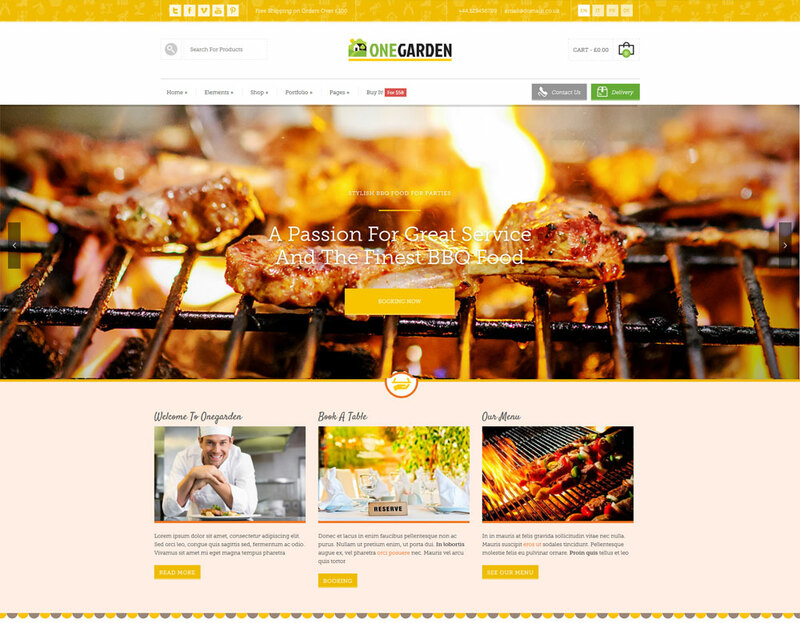 123 Garden is a classy WordPress theme, which is created for gardening, landscape, construction services but it is suitable for restaurants, grills, bbq, shipping or delivery. So we can easily use this multifunctional theme for bbq or steak restaurant. It includes support of premium plugins such as Essential Grid WordPress Plugin (allows to change different formats in a easy customizable grid), Visual Composer (drag&drop page builder plugin), Revolution Slider (for building animated slideshows) and others. This template is compatible with free WooCommerce shop plugin with catalog mode options to disable purchases and prices. 123 Garden theme is translation ready allowing your customers to read the menu in their native language. Google Map helps you to show your guests where you are located. Onscroll jQuery animations can help you to make the theme much more appealing. Of all the advantages we can note flexibility and colorful design. Jupiter is a lightweight creative WordPress theme, which is suitable for any business spheres. You can also use it for sushi & seafood restaurant, bakery cafe, coffee shop or pizza restaurant. This feature-rich template includes over 50 Business website templates, which can be used for multiple niche websites, megamenu widgets and backgrounds, powerful easy-to-use admin panel, adorable edge slideshow and more. It has great performance and quick support to make sure you enjoy Jupiter at all. Creating a unique page layout is not a problem because of website templates variety and opportunity to choose one of 18 header styles. You can easily translate your website into any language if any of your visitors speak a different language. It comes with handy to use WooCommerce plugin to market your products directly off your website with online shop. Jupiter will help you to create unique, particular website and to reach as many visitors as possible. Italian restaurant is a nice, elegant WordPress theme, which is a perfect fit for any up and coming restaurant business and of course it can be used for real Italian restaurant with delicious Italian food. Users are able to change colors without too much hassle or use parallax to feel of true immersion and take pleasure from your incredible website. This template includes Cherry Framework 4 for an easy theme installation and MotoPress Editor & Slider for handy editing and crafting your pages. The theme offers contact form for customers to easily get in touch with you. In terms of searching, the template gives a possibility to take advantage of search form to find products that visitors need and Google maps to find out the shortest way to the location. If you want to build an ideal Italian restaurant website with perfect pasta and to rock your business, you can take this theme without a doubt and expect to succeed. BeTheme is a one of the most popular multi-purpose WordPress theme with more than 220 ready pre-built websites, which suites every topic of the site such as health, sport, food, beauty, lifestyle, art and many more. 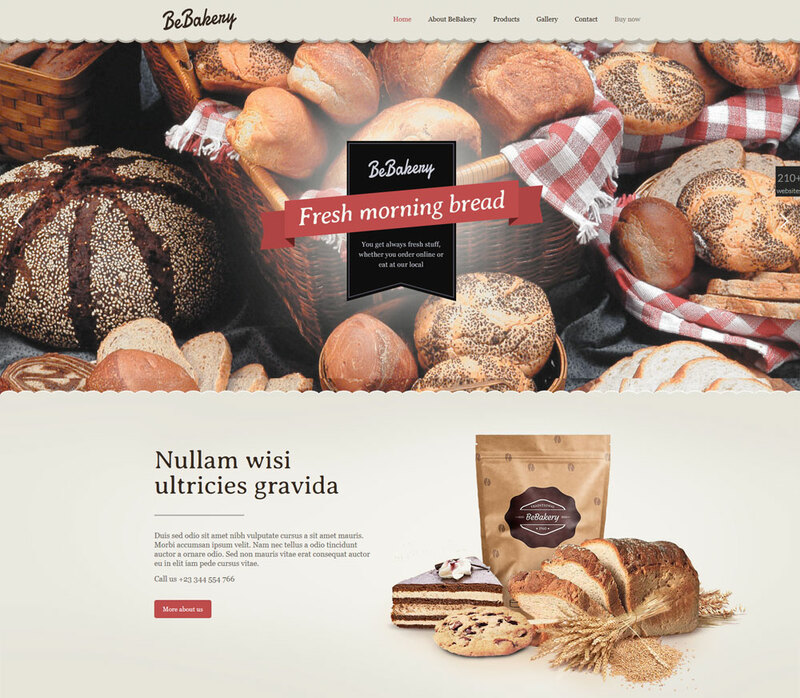 You can use it for bar, cafe, pizzeria or bakery website to your taste. You can use imagination to easily build things with help of Muffin Builder 3. This template offers powerful admin panel to simply customize the theme without coding, 4 different grid layouts (2 boxed, 2 full width), shortcode generator and mega menu to build pages quickly, the smooth parallax effect and video background, choice of unlimited colors and more. You have a chance to create a perfect one-page site with a special scrolling effect. You can also build unique style maps instead of the standard Google maps. BeTheme has a big amount of advantages. The most outstanding options are functionality, flexibility and customer support. Check it yourself. OldStory is a modern restaurant WordPress theme with 2 homepage layouts, which is a great fit for restaurants, bars, pubs, taverns, cafes or breweries. 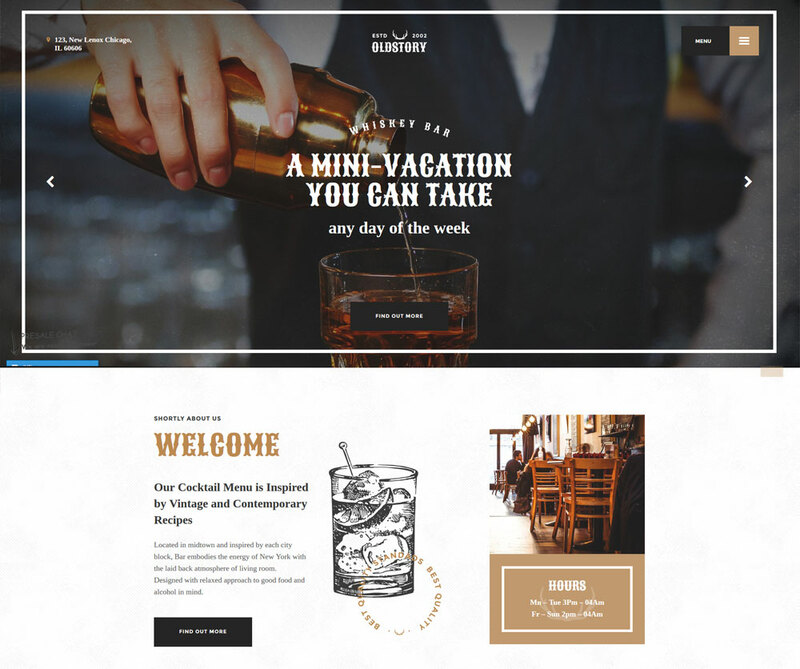 If you enjoy the idea about whisky bar website, you can check appearance and options that this theme offers. OldStory theme possesses a necessary set of features such as WooCommerce support to sell products and services in your future online shop, custom shortcodes and Visual Composer to easy edit page, Swiper and Revolution Slider for galleries and for home slider. For international audience this theme offers to use WPML plugin, which means you may use it in multiple languages at once. OldStory theme has everything you need for a stylish, intuitive and welcoming website. If you have some problems with the template you can employ help of support team, who are always happy to answer your questions. We hope you are attracted by this theme and it won’t leave you indifferent. 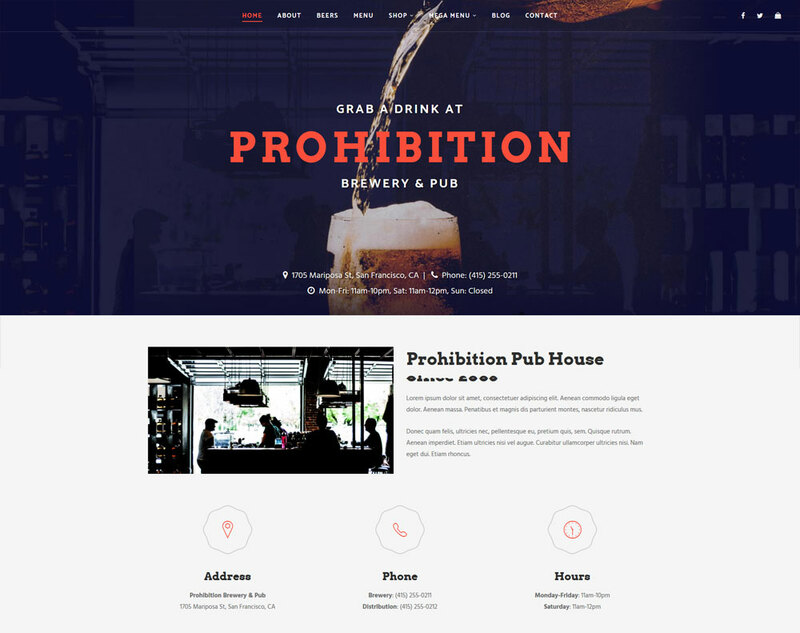 Prohibition is a powerful, fully featured and highly customizable WordPress theme, which is designed specifically for pubs, breweries, wineries or restaurants. It perfectly suits for pub house because of the design but you can use it for all food related establishments just changing some options for your taste. You have a chance to use a drag-and-drop page builder to build great pages, mega menus to improve the navigation or change unlimited variations of colors. Prohibition theme offers you to start selling in your online store with help of eCommerce support. This theme also includes Photoshop files, Revolution Slider, fantastic support, and contact form to provide you all necessary features. This template is translation-ready helping to test multilingual capabilities. Prohibition is an easy-to-use theme, which is ideal for creation of your own brewery website with a perfect appearance. This theme is also optimized for search engines such as Google. We hope this theme will be a perfect fit for your business. The7 is one of the most customizable multipurpose WordPress theme and includes 6 header layouts with innumerable variations. You can create any design you have ever wished with the help of more than 630 options and design wizard. The template gives you a chance to take one of ready-to-use demos for webmasters, restaurants, psychology, photography, news ets. The7 theme guarantees to help with producing a pro-grade website without touching any line of code. Visual Composer offers you to build a particular page layout with a drag-and-drop visual page builder. WooCommerce plugin is a great way to sell with style in your e-shop. You have a huge choice of blog, portfolio & galleries layouts. It is translation-ready and optimized for search engines. The7 theme is the right choice for creative people, that gives you a possibility to create a unique site using this template features. 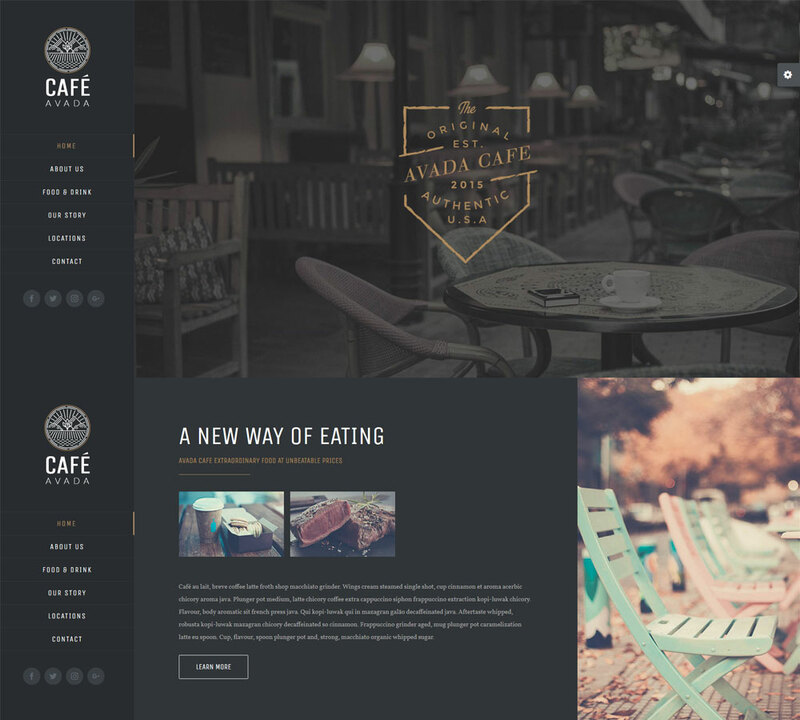 You can even use it for a coffee shop or bakery as a one page theme. If you choose this theme, you will be able to showcase your abilities and hidden talents. 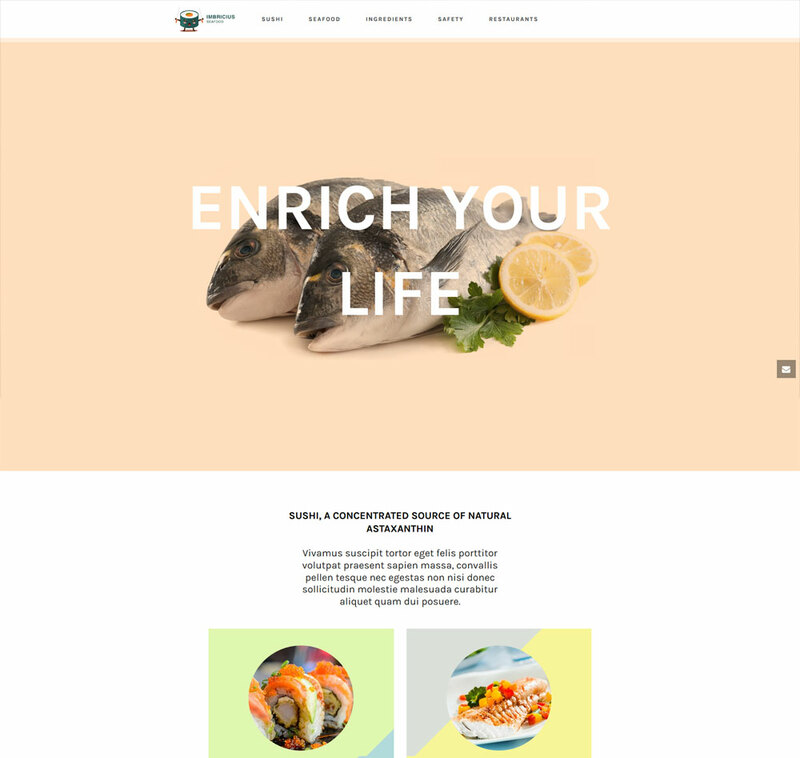 Vegetarian Restaurant Blog is a versatile WordPress theme with easily customizable feature rich layouts that are made with Wordpress live customizer. 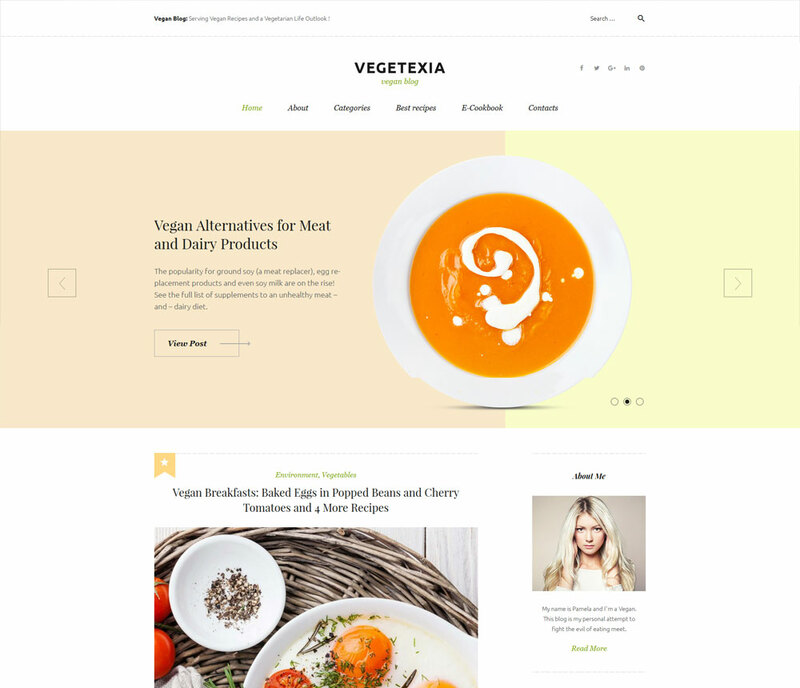 This vegetarian restaurant blog WordPress theme is a perfect fit for vegan blogs and vegetarian related business. It has an eye capturing, clean design that helps your customers to focus on your content without distracting their attention. You can always rely on effective support with friendly service in order to solve your problems. GPL license allows you to use this template as many times as you wish. It is SEO friendly, so it is optimized for major search engines. This theme is well-coded, well-documented and has google fonts integrated. This template will help you to start your website or blog with no time. You will find it very easy to use. We hope this theme will be a great start for your vegetarian business and will meet all your expectations. Good luck! 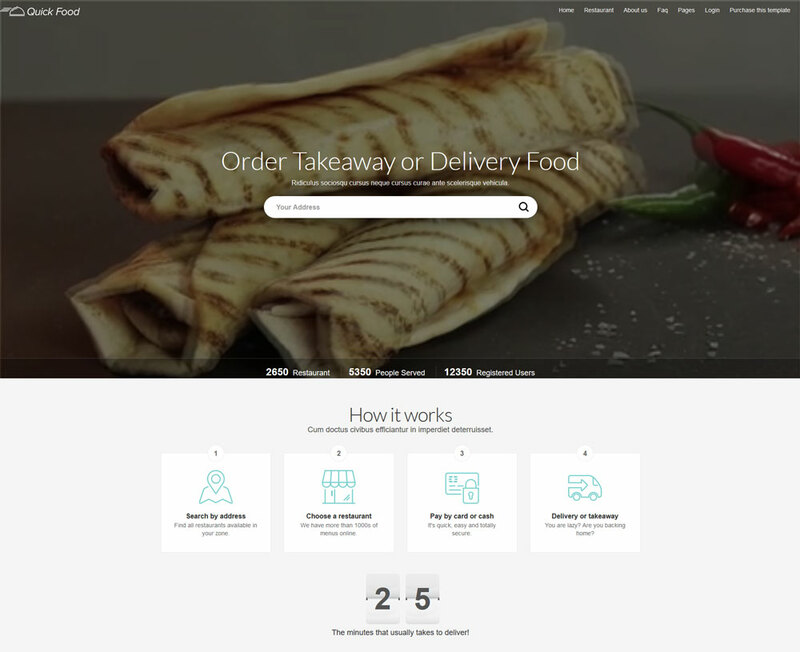 QuickFood is a classy universal WordPress theme with 8 home pages, which specializes on food delivery. Reservation and booking plugins are the most necessary features, which takeaway food websites really need. It includes a free drag-and-drop page builder to save your time working with content and Layer Slider for creating galleries and slideshows with magnificent effects. It has a video background, unlimited colors to change and magnific popup to diversify your website. This theme is easy to set up and has a valid and clean HTML5/CSS3 code. It is based on Bootstrap 3.3.5 and looks perfect on any gadget. It also includes Google Maps for easy navigation. The list of QuickFood theme features is well matched. If you have questions about this template you can refer to detailed documentation or quick and helpful customer support. QuickFood is a right choice for your food delivery website or restaurant based establishment. Try QuickFood now and enjoy the results. All of these templates possess a different set of features and focus on various websites topics. If you need to create your blog or simple unidirectional site you can choose the theme, which specialises in one field of activity. If you would like to have more features and more abilities you may take one of multifunctional themes. If you are waiting for a special case to create a website here it is. It’s time to try one theme of this collection. If you need fresh WordPress theme, take a look on our collection of Free WordPress Themes 2016 . Over the last decade we have been hunting for the best themes across the entire World Wide Web wishing to design and develop impressive WordPress websites. That wraps up our list of the 14 Best Food & Restaurant WordPress Themes 2016. Would you like other themes to be featured here? In that case, send us your comments — we’d love to hear from you! Look at this amazing collection of Real Estate WordPress themes you will ever need to create your own real estate website fast and easy. Check this remarkable list of best Fashion&Beauty WordPress themes and select one to create a unique fashion blog or beauty blog.